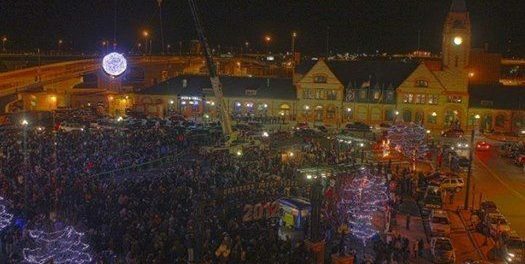 Cheyenne, Wyoming’s 6th annual New Year’s Eve Ball Drop will once again bring sparkle and celebration to Cheyenne residents and visitors at the Depot Plaza on December 31, 2016. This family-friendly, free event brings an estimated 4000-5000 people downtown to welcome in the new year. The children’s event includes activities inside the Historic Depot at 121 W. 15th Street from 3:00 p.m. to 6:00 p.m. Face painting, Lego building, games, balloons, costumed characters, and more will be offered. Outdoors, horse and wagon rides and an ice skating rink provide wonderful winter activities. This early evening event concludes with a ball drop and brief fireworks display just for kids at 6:00 p.m.
Beginning at 9:00 p.m., enjoy a Wild West New Year’s Party in the warmth of the Cheyenne Depot. This adult event is going to be a flamboyant, shiny, glittery affair rocking with DJ Avalon all night! Tickets are $20 each ($35 for a couple). Or you can treat yourself to the VIP section decked out with couches or tables (which will be $400 each and seat 6 people per each). 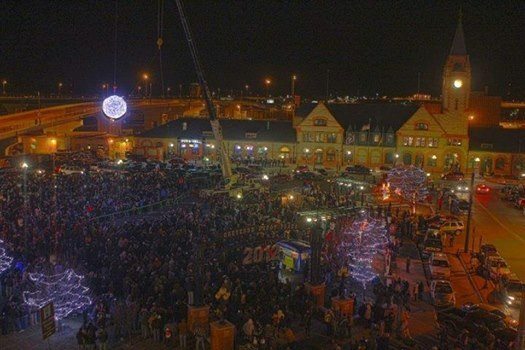 At 11:45, gather in the Plaza for music and the growing crowd as the ball drop countdown begins! Then at midnight, Auld Lang Syne rings out with a countdown to Happy New Year! The Wild West Party inside the Depot continues inside until 1:00 a.m. The Ball Drop’s contribution to the vitality of downtown Cheyenne is only made possible by the sponsors of the event: Cheyenne Downtown Development Authority/Main Street, Simon Contractors, Black Hills Energy, CH Yarber Construction, Westedge Collective, Lamar, KGWN TV, the Cheyenne Depot Museum, Visit Cheyenne, City of Cheyenne, and Townsquare Media. People may get more information about the event at cheyenne.org/balldrop, or by calling Visit Cheyenne at 307-778-3133.